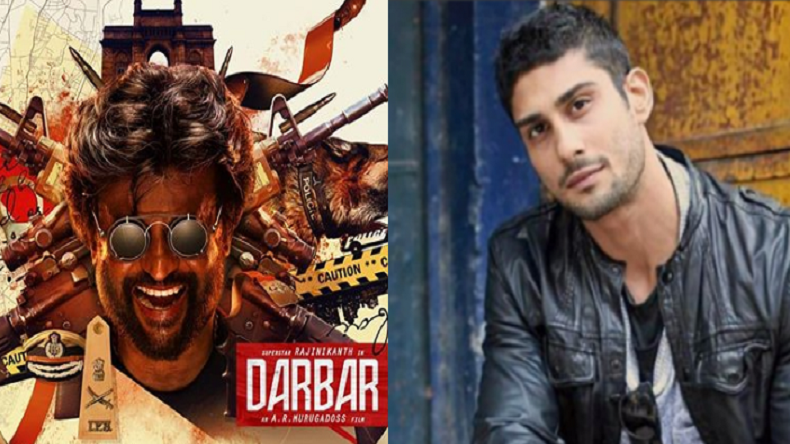 Darbar: Bollywood actor Prateik Babbar is all set to share the screens with superstar Rajinikanth in his upcoming film Darbar. In the film, Prateik will play the role of a villain. The director of the AR Murugadoss recently revealed in an interview that he wanted to cast the actor immediately after watching his film Baaghi 2. The makers of Rajinikanth’s film Darbar revealed the first look and the title of the film some days back and recently, reports suggested that Bollywood actor Prateik Babbar has also joined the board of the film and will play the role of a villain. The actor confirmed the news revealing that it is a big achievement to share the screens with a legend Rajinikanth. He also said that he can’t wait to meet him and to watch him shooting for the film. He further added upon saying that he has received many praises for the negative roles and will be trying his best to portray this role as this is a lifetime opportunity for him. Reports suggest that the director of the film AR Murugadoss got impressed with Prateik in his film Baaghi 2 and that time itself he took a decision to cast him. In the film, Prateik will play the role of antagonist’s son and will be appearing with Rajnikanth in some major scenes. Interestingly, the actor played a negative role in Baaghi 2 which was a hit film and further will play the role of an antagonist in his future films like Power, Abhi Toh Party Shuru Hui Hai and Chhichhore. The film Darbar is directed by AR Murugadoss who is best known for films like Ghajini Akira, Sarkar (Tamil). Moreover, after films like Kuselan and Chandramukhi, actor Nayanthara will again share the screens with superstar Rajinikanth. Meanwhile, Rajinikanth will be essaying the role of a cop in the action film. The film is produced by Lyca Productions and Santosh Sivan will take up the camera related operations whereas Anirudh Ravichander will compose the music. Further, Sreedhar Prasad will be held responsible for the editing part of the film. The shoot of the film has already started and is expected to hit the silver screens on Pongal next year.